I took this photo while spending my time in Berlin. I was in Germany due to deportation from Turkey for 3 months. 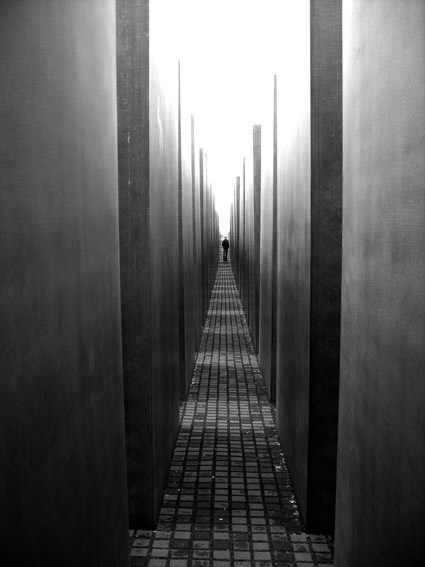 This was taken on my first week in Berlin, and to me in kind of displays my state of mind, dazed and confused on my situation of being deported and also the effect this memorial had on me. The big cement block labyrinth construction which one walks through getting deeper and deeper, darker and darker giving a perspective on the terrible history that took place. This photo won best photograph at OMD photography contest via online voting in 2010.